When it comes to summertime makeup, I’m a big believer in the more natural the better. I love when you have naturally glowing skin, and all you need is a lick of mascara and something a little shiny and you’re good to go. 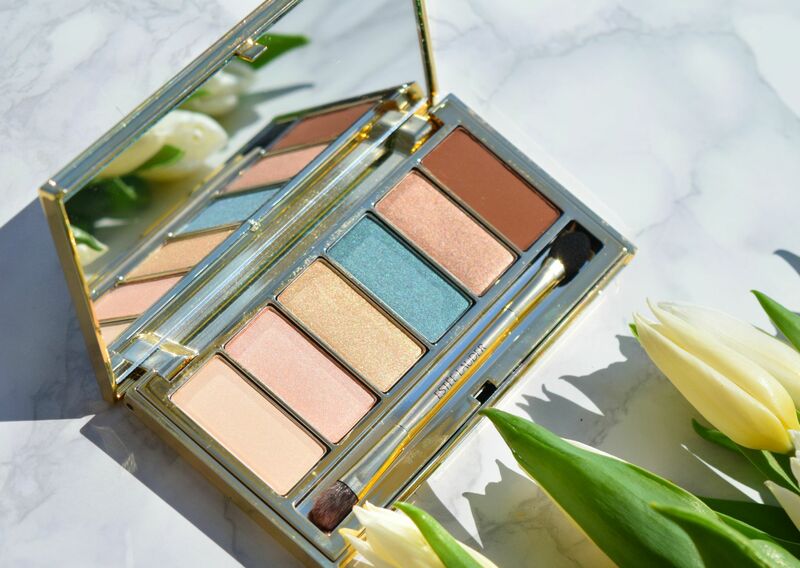 Thankfully, Estee Lauder has answered my summer glamour prayers in the form of the brand new Bronze Goddess Eyeshadow Palette. 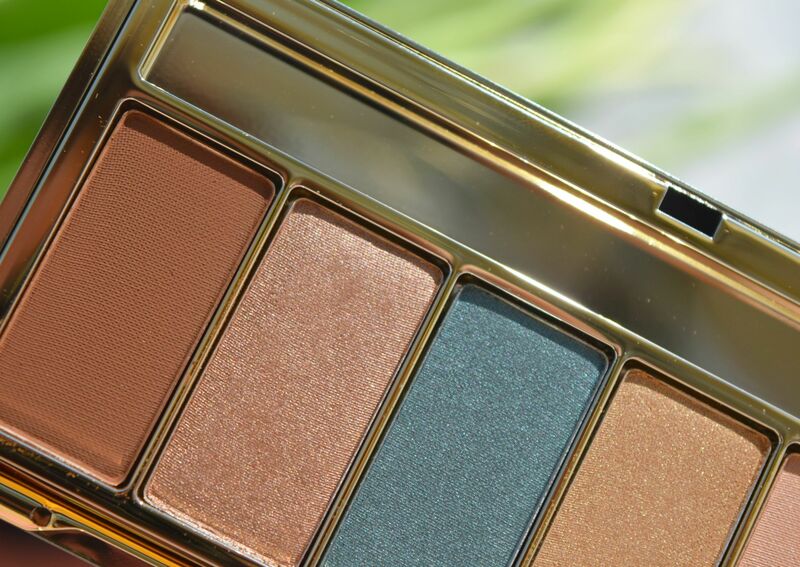 Packaged in the sleekest of golden compacts, the Bronze Goddess Eyeshadow Palette is pretty much summer in a nutshell. There are six shadows to choose from – a mix of must-have neutrals complete with a shimmering gold and jolt of marine blue. The shadows are well balanced mix of mattes and shimmers, and the balance of shades is enough to see you through the longest of vacations. The formulas for the shadows is buttery perfection – wonderfully pigmented with serious colour payoff. The left hand side of the palette is reserved for the three lightest shade. The bone shade on the far right is beautiful for highlighting the brow bone or as a blending shade. It’s perfectly matte, and I also like to use it in the inner corner of my eyes for a little brightness. Next up is the prettiest shell pink, which is perfect if you’re after subtle definition, or it’s also a stunning way to mix up my go-to brown smoky eye. The central golden shade might just be my favourite. It’s a warm shimmering yellow-toned gold which looks like molten metal on skin. For evening, I tap a little into my inner eyes for a sleek update, and a little tapped into the centre of the eyelid gives eyes a beautiful gleam. The brightest shade in the palette is the marine blue which sits in the centre of the palette. It’s a really beautiful true sea blue which has a stunning metallic finish. The shadow is quite sheer to begin with, but it’s easily built up to a rather stunning effect. Beside the blue is possibly my most used shade – a stunning metallic taupe. Again, it has quite a highly reflective finish, and it’s so pretty worn sheered out over the lid as a wash of colour. It’s a perfect choice for everyday makeup too! It’s quite a warm-toned brown, so it’s great when you have a little colour! 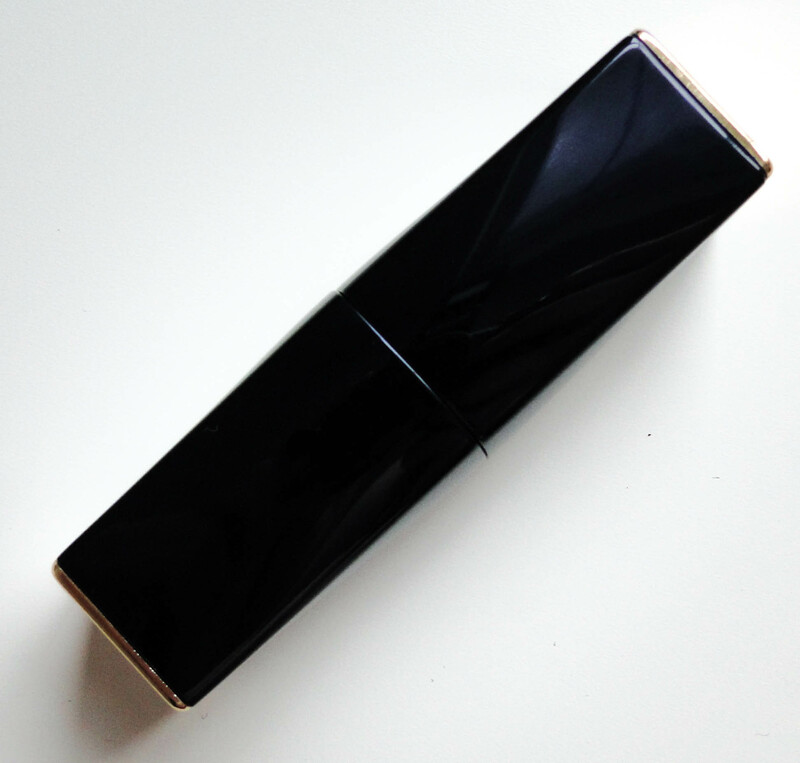 Last up is the palette’s deepest shade – a warm-toned chocolate brown which is super matte and super creamy. It’s just the thing for adding a little to drama to your eye makeup, and I just love to use it as a liner, as the colour payoff is so wonderful. 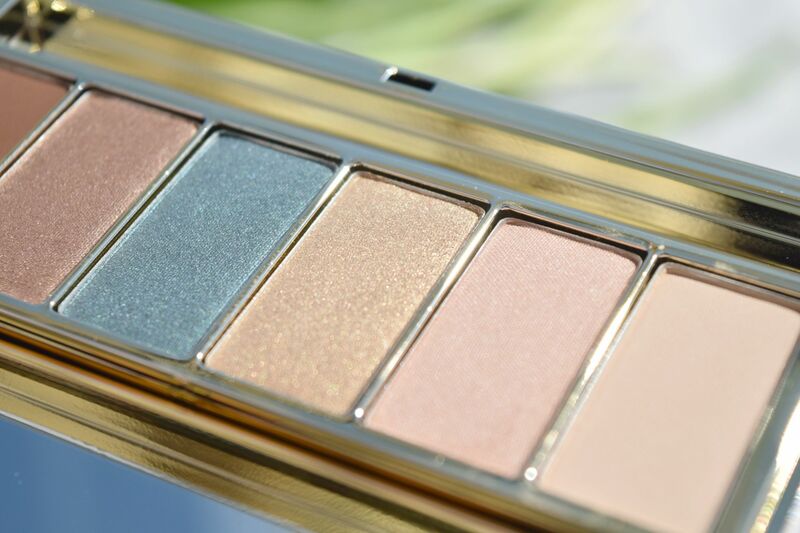 In addition to the six shadows, the Bronze Goddess Eyeshadow Palette also includes a nifty double ended applicator. 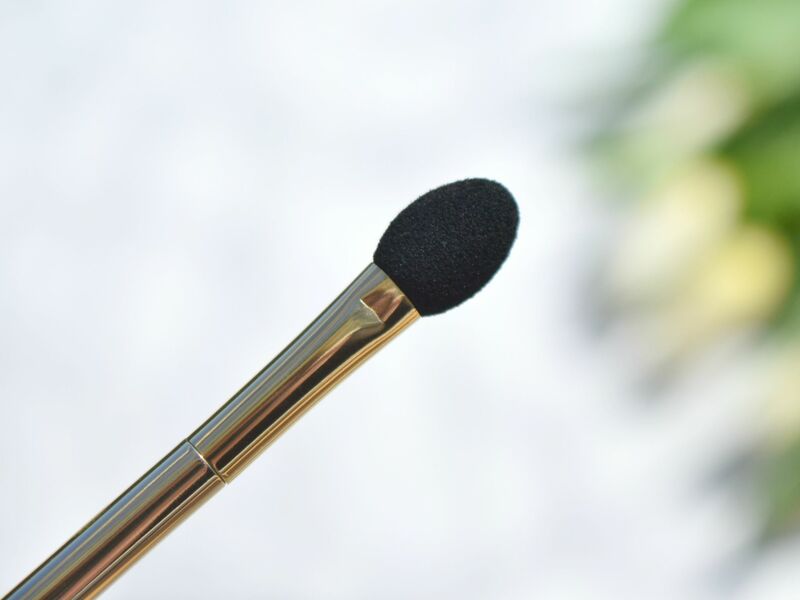 With one end as a foam-tipped applicator, and the other a soft acrylic brush, it’s never going to be my first choice to use, but if I’m out and about and have forgotten my regular brushes, it does well in a pinch! 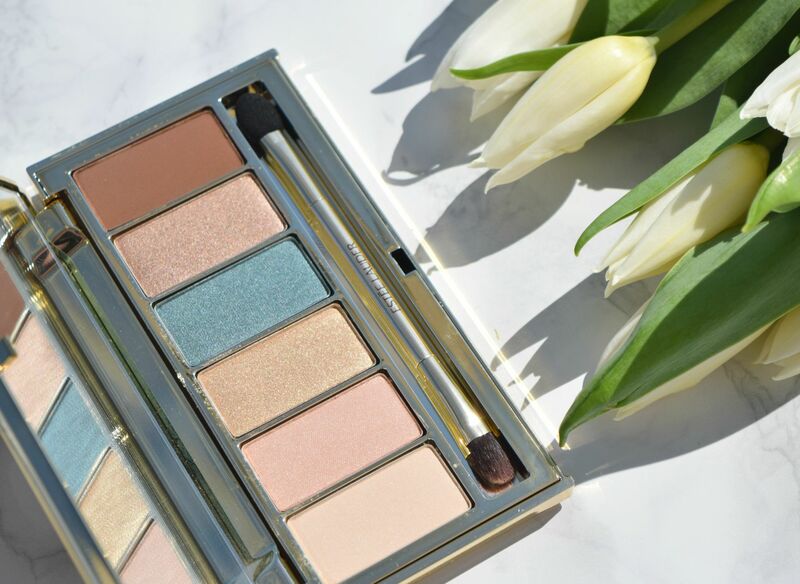 The palette is pretty much a must-have if your jetting off anywhere this summer. The mix of colours and finishes of the shadows feels so well thought out, I’ve been reaching for it most mornings. It makes creating a multitude of looks so easy, and it doesn’t hurt that the packaging is to die for too! Whenever I jet off somewhere new, I rather like to wear a new fragrance. There is just something so lovely that once you get home and take a sniff of the perfume you’ve reached for every day for the past few weeks, you’re instantly taken back there. 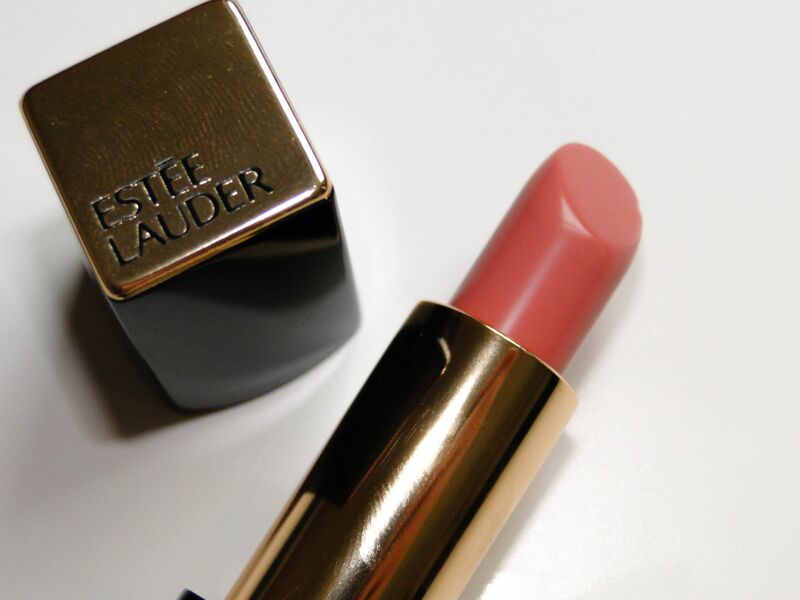 I think this summer, my choice might just be Estee Lauder’s gorgeous Pleasures Exotic. Packaged in a beautifully understated bottle, Pleasures Exotic is described as a citrus floral, and it’s the perfect scent to wear on long summer evenings. When I first apply the perfume, I get notes of Litchi and Orange Blossom. As the fragrance warms up, the notes of orange blossom, mango and citrus become stronger, making Pleasures Exotic feel at once wonderfully clean and refreshing to wear. Wear time for the fragrance is great – I easily get 4-6 hours of wear with only a couple of spritzes, and throughout the day I get wafts of the wonderfully exotic fragrance! 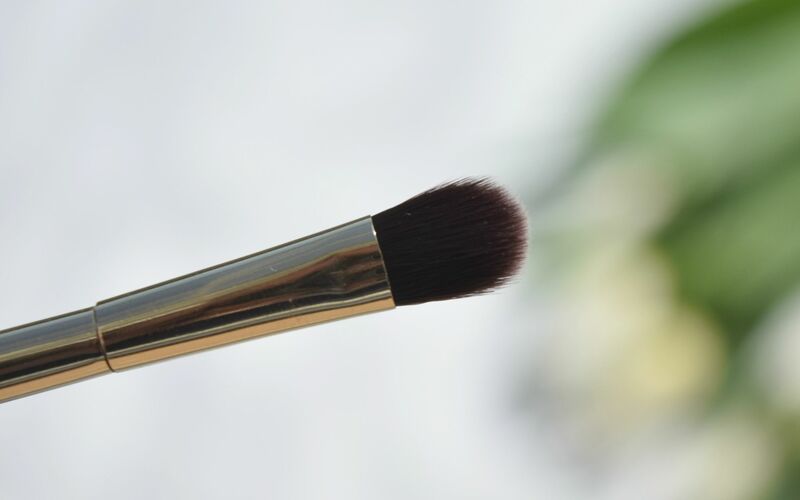 Makeup brushes are pretty much like the wheel – they’re not often re-invented. 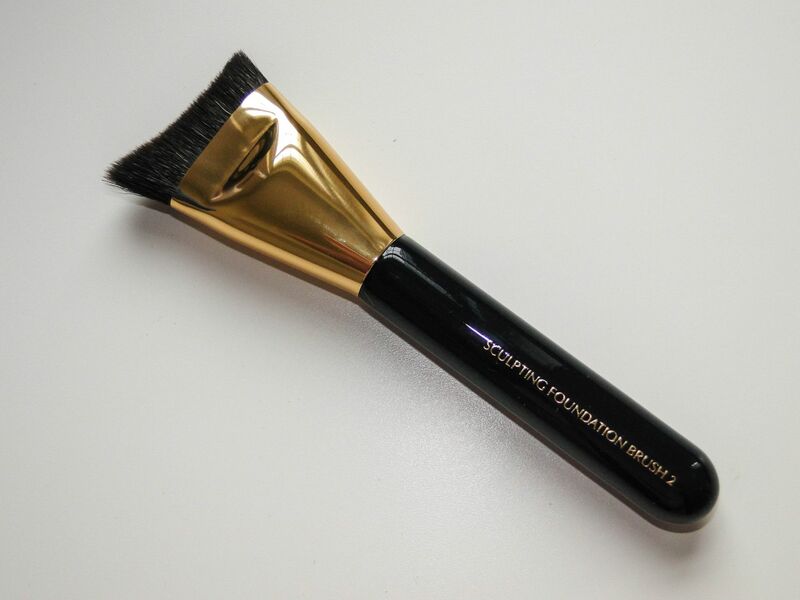 But brand new for this month is Estee Lauder’s Sculpting Foundation Brush. I’ve never seen anything like it! Unlike regular foundation brushes which are flat with a rounded end, the Sculpting Foundation Brush is completely different! The bristles are ergonomically designed to mimic the contours of the face, and it’s a lot wider than the foundation brushes I’ve used in the past. The bristles are densely packed together, which means application and buffing is an absolute breeze! 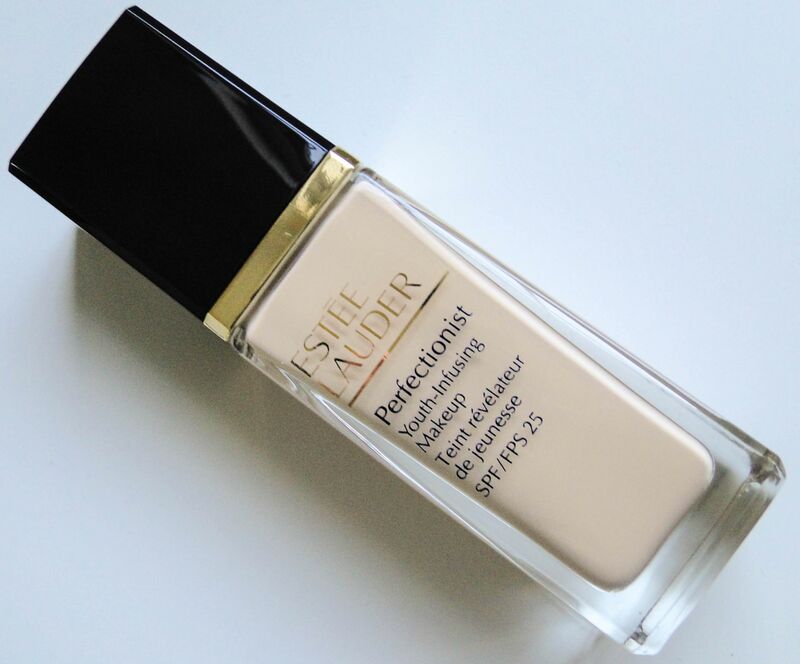 To use I simply pump a little of Estee Lauder’s newest Perfectionist Foundation (you can see my review here) onto the back of my hand, then pick up a little using the brush. Thanks to the unique design of the brush, it is so simple to buff into the skin, and I can get into awkward areas like my nose really easily. 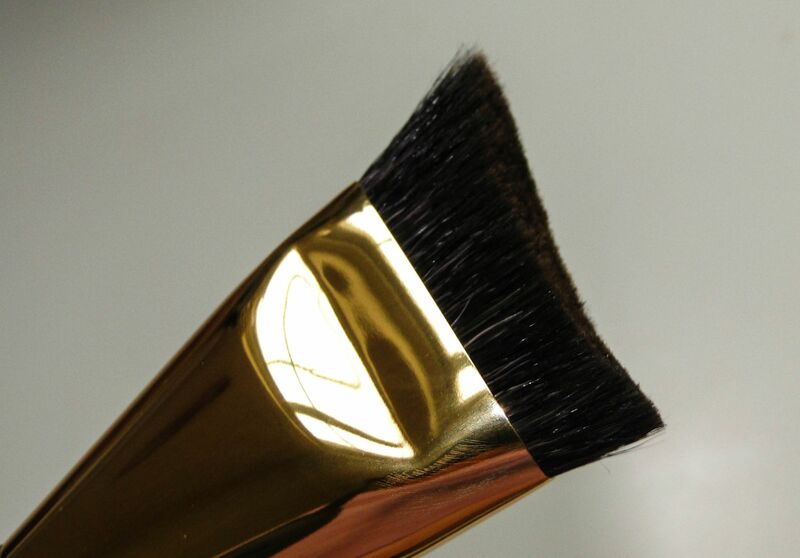 The dense brush means that I get an absolutely flawless finish, and unlike other foundation brushes, this one doesn’t leave brush marks or streaks. Instead, I’m left with a light covering of foundation which looks perfectly natural. The brush costs £37.00 and is available here. As much as I love barely there looking makeup, I often find I need a little more than usual to create the perfect ‘natural’ look. 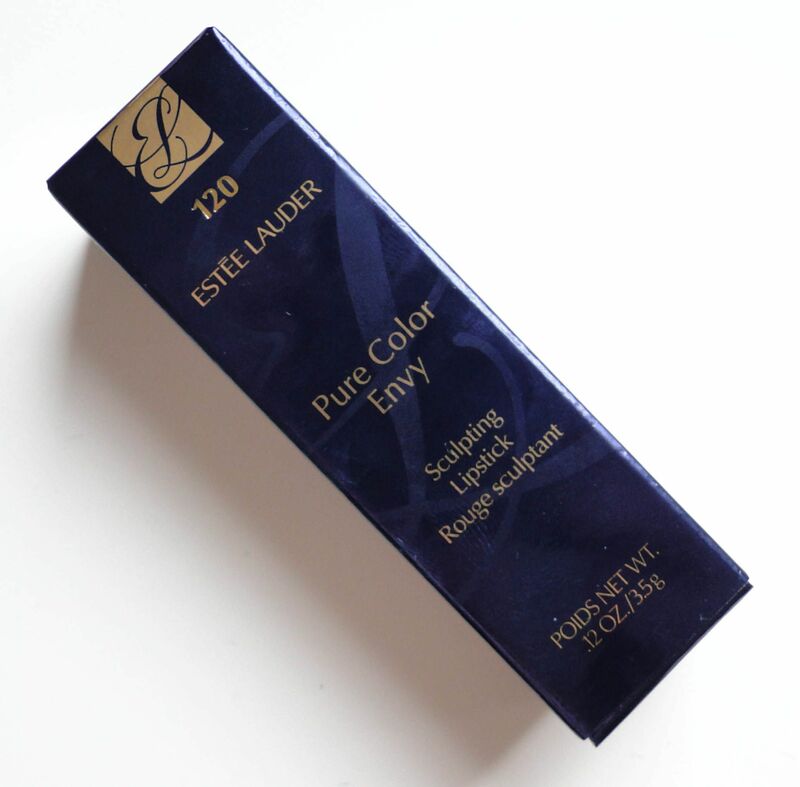 Estee Lauder’s newest foundation has become a new favorite for when I want to look natural but better! 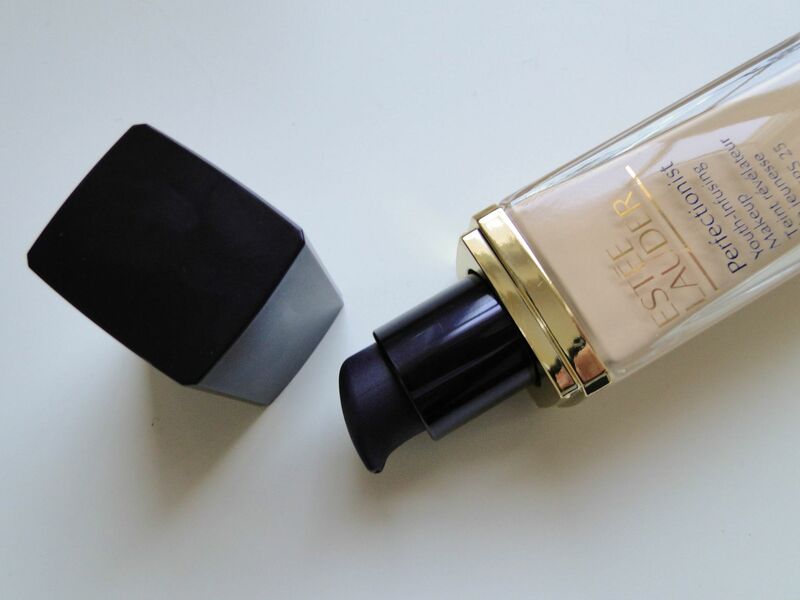 Packaged in a very glamorous and grown up glass bottle with a pump top, the foundation is a perfect mix of makeup and technology. As well as the regular inclusion of SPF (Perfectionist has factor 25) the formula includes anti aging serum technology, meaning as well as giving you a flawless base, it works to reduce fine lines and create a radiant finish. I’m completely obsessed with the formula. I simply pump a little onto the back of my hand and buff it into the skin using the specially designed brush (review to come). 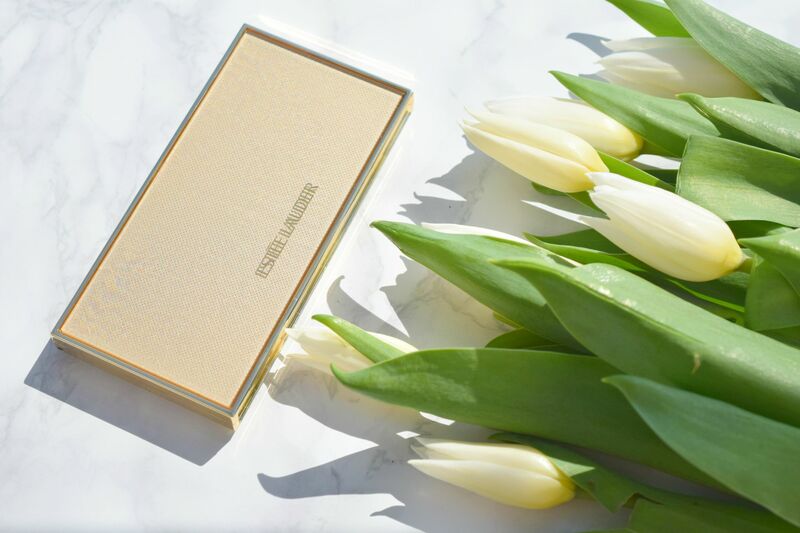 It melts seamlessly into the skin, and it creates the loveliest base. My redness disappears, and I’m instead left with skin which looks 100% natural. What I love about the foundation is how buildable it is. A light buff with the brush gives a light coverage, but where I need a little more help, a second layer evens everything out perfectly! There is also a selection of 22 shades to choose from, so it’s super easy to find your perfect colour! The foundation costs £37 and is available now. I’m not quite sure how it has become September already, but with Labour Day weekend behind us, I feel like we are quickly marching into Fall. I’m in the process of looking out heaver sweaters and down parkas for the winter which will soon be upon us, but this change in seasons is bringing in something I love – new makeup! 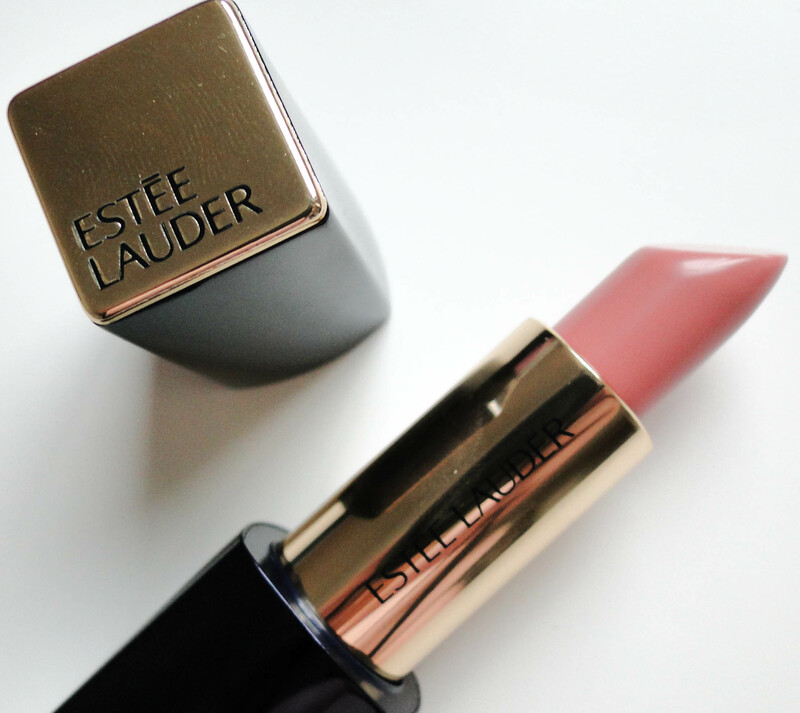 This month Estee Lauder are launching 7 new shades of their Pure Color Envy Sculpting Lipsticks. I have to admit to having a slight obsession with these lippies – the packaging is completely divine. A solid navy tube, which clicks into place feels so luxurious, and the colors inside are completely to-die-for. 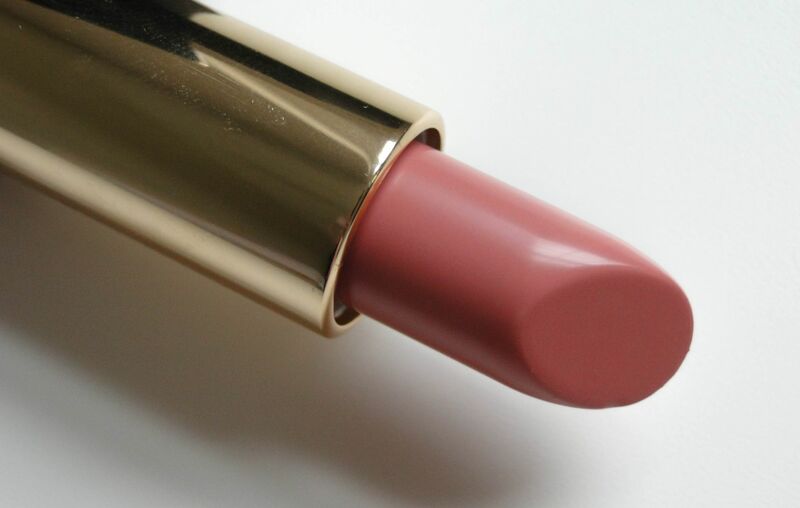 Desirable is a step-up from my regular nudes, a warm peachy pink, the formula is unbeatably creamy. I only need a quick slick of the tube for my lips to be perfectly pink, and it feels to smooth and hydrating when applied. Unlike some pigment-rich lipsticks I’ve tried in the past, Pure Color Envy lipsticks never feel drying. Instead, they feel almost balmy, and leave a beautiful shine. I get 3-4 hours of wear before feeling like I need a freshen up, and I am completely in love with the colour!